The US-based W.L. 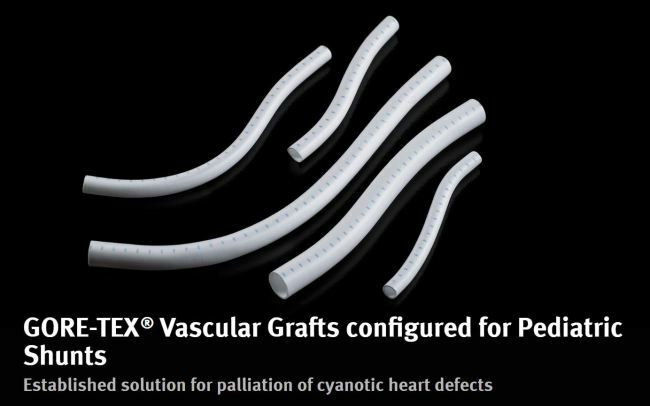 Gore & Associates Inc. will supply 20 vascular grafts for South Korean children born with heart malformations who are time-pressed for surgery, Korea’s Ministry of Drug and Safety and Ministry of Welfare said Monday in a joint statement. Gore has agreed to supply the artificial blood vessels at the earliest possible date, which might be a week to 10 days away, the Drug Ministry said. The exact time of their arrival has yet to be determined. Gore, the sole supplier of reliable artificial blood vessels, pulled its business from Korea in October 2017, citing the comparatively cheap prices at which it was distributing its products here and the potential rift that might create with other countries where it was doing business. Gore reportedly said at the time that it was willing to continue to supply artificial blood vessels to Korea because they were unavailable from other suppliers. At an upcoming meeting of World Health Organization member nations in May, Welfare Minister Park Neung-hoo plans to raise the issue of monopolies on products needed to treat rare and incurable diseases.